Should I say I'm seeing red because of the dress or pink because of the sunglasses? Both, of course, in a good way! This dress (that many of you asked about on Snapchat) has finally made it to the blog. I'm excited to show you more. Wait until you see the back! 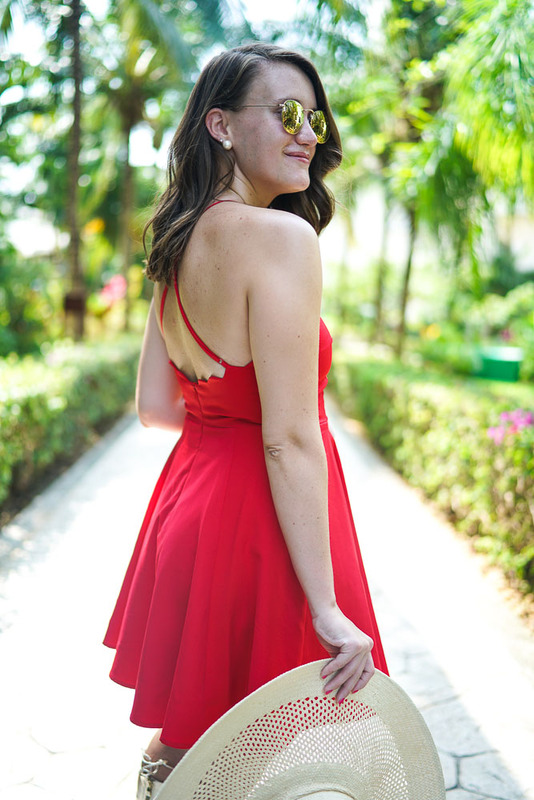 So excited this dress is finally on the blog! I originally wore it the other weekend in Hilton Head but I never had time to shoot it. It's one of my new favorite dresses because it's so easy to wear and super comfortable. I mean I was sweating in these photos and you couldn't even tell. It's so hot in Mexico! I know it's always warm, but the humidity is killing me (and my hair). This was honestly the first and only time I even tried to curl it -- woof. Also, I haven't worn makeup in over a week. It would just melt right off! Thank goodness for sunglasses. Anyways, I wore this dress outside for lunch the other day. It fits so nicely and it's really well made for being under $90! In Hilton Head, I wore it with some wedges for a night out. It's a great day-to-night dress. I also found this one that is similar for under $50 if you guys are interested! 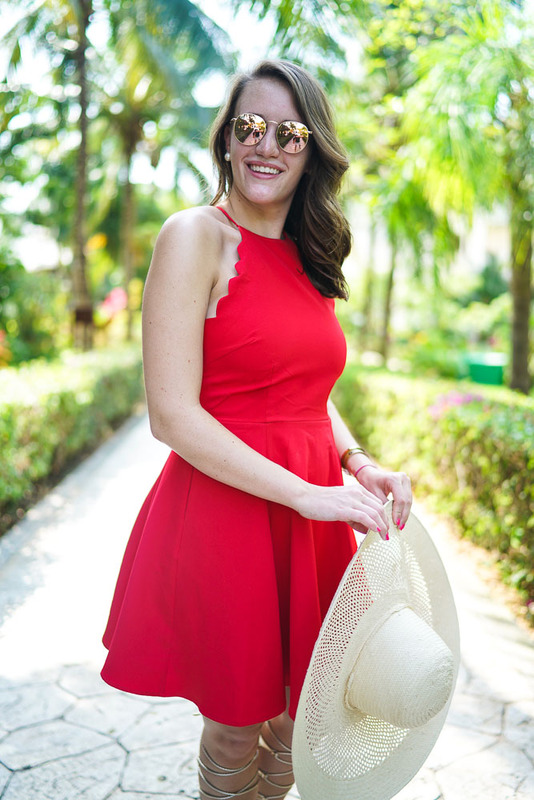 I've been on a huge scallop kick since last summer and this dress is so flattering! I only wish it came in other colors because I don't look the greatest in red. Hope you're enjoying the rest of your time in Mexico! I love the dress but I LOVE those sunnies!! Love this dress with those sunnies and sandals! I love these dress, so cute! 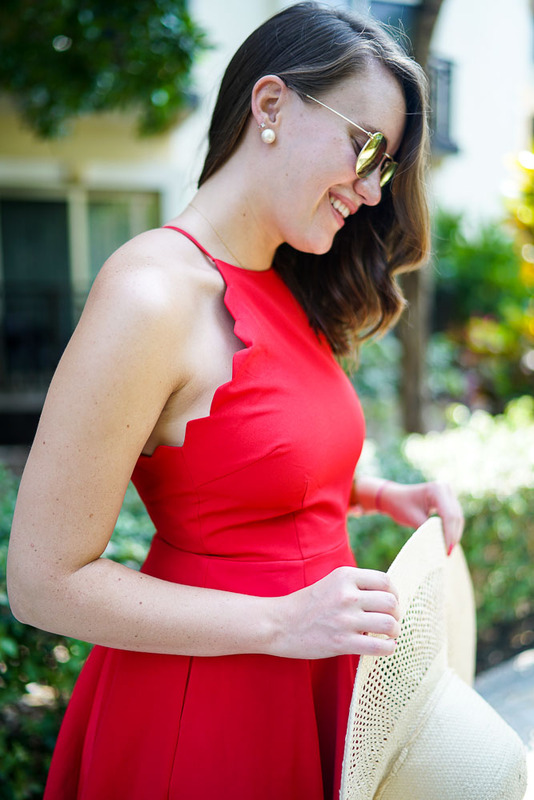 The scalloped detail is my favorite part!